It’s hard to improve upon a morning at the golf course, but with spring training in town, adding an afternoon at the ballpark makes for an full day of good, clean fun. And with fifteen MLB baseball teams playing in ten baseball parks scattered across the Phoenix – Scottsdale metro area, it’s easy to pair any of several Arizona golf courses you enjoy with a nearby spring training game. 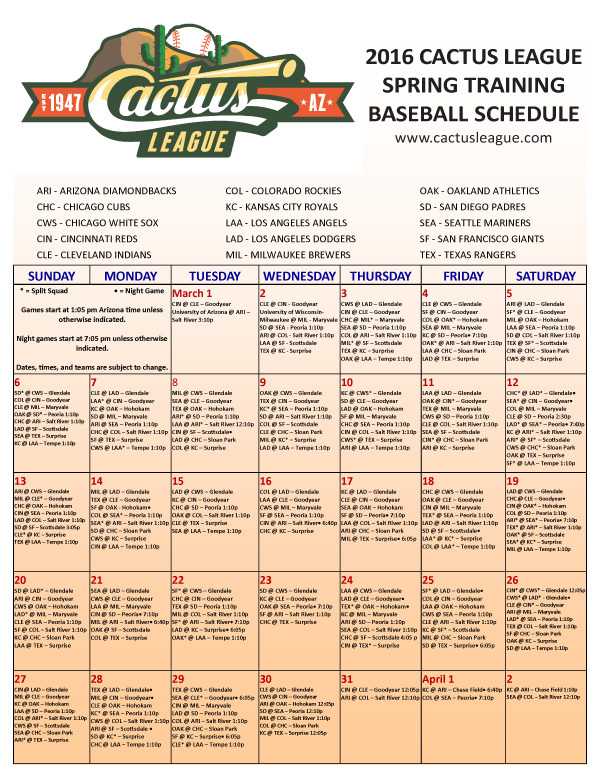 First, the fifteen baseball teams: Dodgers, Cubs, Royals, Giants, Angels, Athletics, Reds, Indians, Brewers, White Sox, Reds, Rockies, Padres, Mariners and the hometown Diamondbacks all train in the Valley of the Sun. 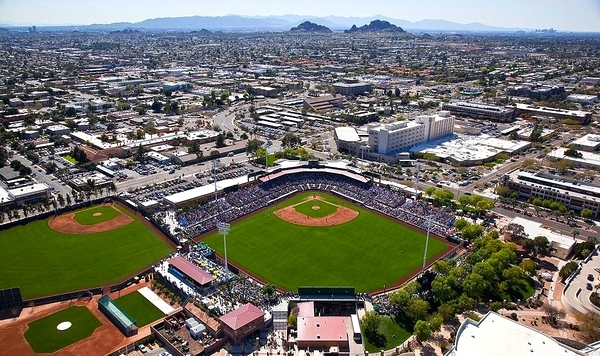 The ten baseball stadiums are located in Scottsdale, Phoenix, Glendale, Goodyear, Mesa, Peoria, Surprise and Tempe. 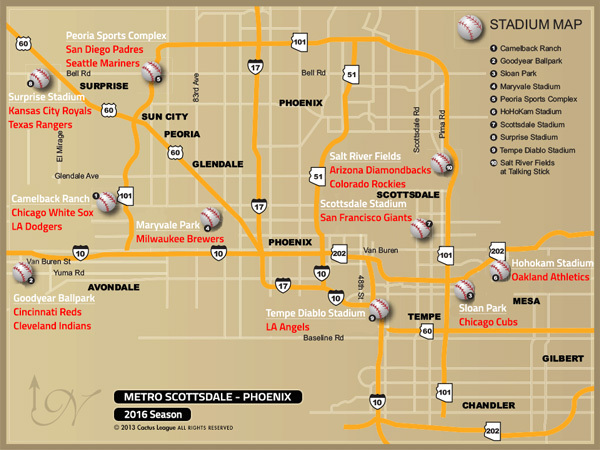 The map of ballparks below, together with the game schedule will get you started. Pair those up with a golf course nearby and you’re ready for a full day of excellent entertainment in Arizona’s perfect springtime weather. Some pick the game they want to see first, note the stadium location and pick their favorite golf course, nearby. Others pick the golf course first, and are happy to watch whatever teams happen to be playing that day in the stadium, nearby. Either strategy works, and the Arizona golf course reviews at the Arizona Golf Authority makes matching the golf course to the baseball stadium easy.